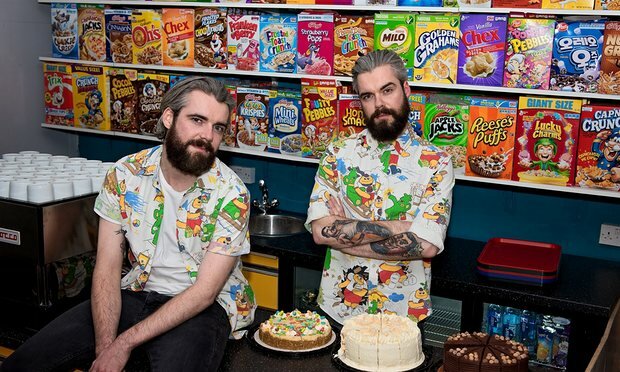 Is Dennistoun’s “Cereal Cafe” a Sign of Creeping Gentrification? When Glasgow’s primary kids returned after the Easter Holidays a few weeks ago, a treat lay in store for them, courtesy of the city’s Labour councillors. Following the local authority’s March budget cuts, the price of school breakfast clubs – designed to give children a healthy start to the day – had doubled to £2.00. The Child Poverty Action Group warned the move could see see pupils unable to concentrate on their classes due to hunger, and health problems from not having basic nutritional needs met. 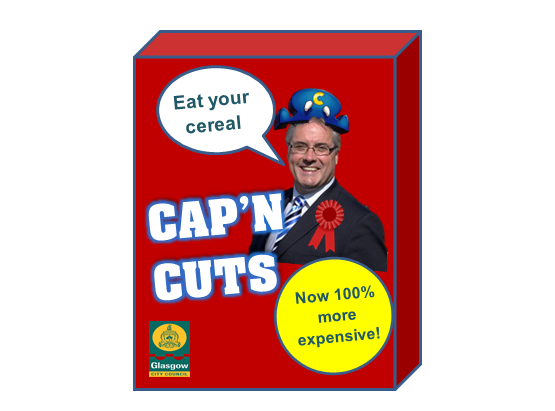 But while there may be austerity for some, there’s £5 bowls of cereal for others. Because last night, Dennistoun in Glasgow’s East End became the latest victim of the ‘cereal’ craze, with the opening of Scotland’s first cafe dedicated to serving up Lucky Charms and other sugary delights at a marked up price of several hundred percent. It’s not often that the opening of one cafe manages to capture the media agenda for days on end, but when the now notorious ‘Cereal Killer Cafe’ opened in East London in late 2014, it did exactly that. The hype didn’t end there either, with another media frenzy ensuing last September when anti-gentification protesters daubed the cafe in paint. 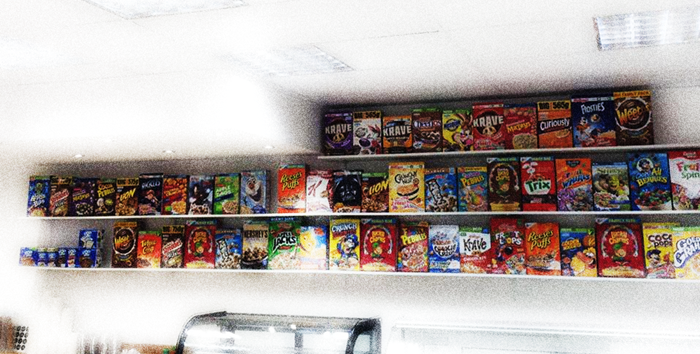 By that point, the idea of the cereal cafe – and all it represents – was firmly embedded in the national psyche. So it was only a matter of time before PR-savvy entrepreneurs around the country started getting in on the idea. It’s nonetheless surprising that Scotland’s first has opened on Duke Street, one of the main intersections through the east end of Glasgow, but probably not the most obvious place in the city for it. Saying that, in March 2014, on the cusp of the Commonwealth Games arriving in the city, this blog warned of an inorganic attempt to make the area a hub of the “new west end”. Does the arrival of a cereal cafe represent its peak? There was little publicity ahead of Duke Street’s latest opening, with most finding out when the STV News Facebook page splashed with the story in the early evening of 2 May. The 700 comments underneath ranged from glee (“THIS IS NOT A DRILL!!! !”) to outright disdain (“Hipster crap. Eat a pie.”) and about a dozen comments telling it to “get in the sea”. It’s exactly what cereal cafes represent that is so contentious. To some, they’re nothing more than innocent childhood nostalgia, selling sugary treats to paying customers, and that’s the end of it. To others they represent the sharp-end of cultural gentrification, the turning over of working class communities to infantilised hipsters with their semi-ironic childhood obsession, endless stream of wacky pop-ups and crassly commercial attempts at authenticity. With food banks, sanctions and child poverty now essentially accepted elements of the British welfare system, the idea of charging an exorbitant amount for a food designed to be cheap and convenient was, to many, seen as a insult – not least when the cafe was placed near one of the most deprived communities in London. Some perspective is probably necessary with the new Glasgow opening, though. Unlike the carefully curated image of its Shoreditch inspiration, Glasgow’s Black Vanilla cafe could pass off as any other ice cream parlour; it just happens, in a neat PR stroke, that it also sells cereal by the bowl. It is, howeever, still just a short stroll from some of the most deprived areas of Glasgow, in a city where breakfast has suddenly been politicised by the fact that school children are now paying twice as much as they were a few weeks ago, amid dire warnings from poverty groups. Will Dennistoun’s cereal cafe actually last? It’s hard to say – but the sheer amount of buzz it has created, and its potential to become destination in itself – will be a mixed blessing for those who call the Duke Street area home. Will the Barras Survive Regeneration?